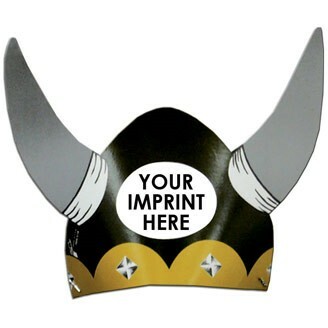 Men's Viking hat is a truly unique way to get your custom message or logo noticed. Made of 14 pt. white paper board, liquid laminated for a high gloss finish. The hat is held in place with an elastic band. USA made. Quick turn, just ask. Imprint Area : 2 1/2" Oval.